Chris does a great job. He is always on time and knows what he is doing He would make a good manager! Thank you for your assistance and professionalism! Thanks for being prompt. Good job by installer. Your crew did an excellent job. They were friendly, informative, and very professional. Thank you! Your guy did a great job! It was obvious that he enjoyed working for your company! Your staff were pleasant and efficient. Thank you for a good job. We must tell you that your technician is wonderful. She is polite, efficient, knowledgable, and an all-around good worker. You did a fabulous job of finding & fixing the problem that the city had created for me. Thank you for your expertise in repairing my pipes, etc...Thanks so much for all your help. I really appreciate your quick response. The grass seems to have rejuvenated. I appreciate the fine job you did. Thanks! I know it was a long day, but they were a dynamite crew. I wanted to personally thank you for getting me on your busy schedule to get this problem resolved. I also wanted to acknowledge the fine service provided by [our technician]. 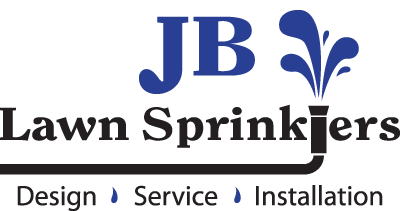 He was very knowledgable, friendly, extremely efficient, and well prepared to address the issue...I will not hesitate to call you again should I need lawn sprinkler help, and will spread the good word about JB Lawn Sprinklers, Inc. Thank you so much for the wonderful job! It will be so nice not to have rust on everything! The two guys that cam to instruct me of my system were extra special people and knew this system well - thanks for hiring such great guys. Great service man - nice job. As always, thank you for the wonderful work that you do. Chris, our technician, was great! He was prompt, courteous, and knowledgable. Very happy with JB Lawn Sprinklers!